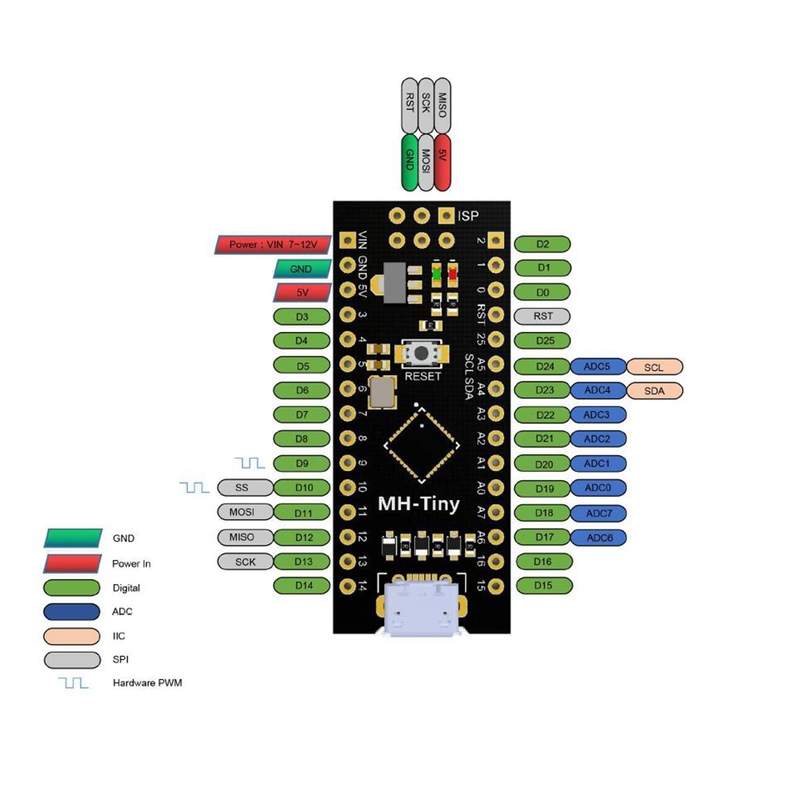 The MH-ET LIVE Tiny88(16.0Mhz) based microcontroller development board similar to the Arduino line, only cheaper, smaller, and a bit less powerful. With the ability to use the familiar Arduino IDE the MH-ET LIVE Tiny88(16.0Mhz) is a great board to jump into electronics, or perfect for when an other board is too big or too much.The MH-ET LIVE Tiny88(16.0Mhz) is shipped fully assembled except for the headersincluded and easy to solder them by yourself. 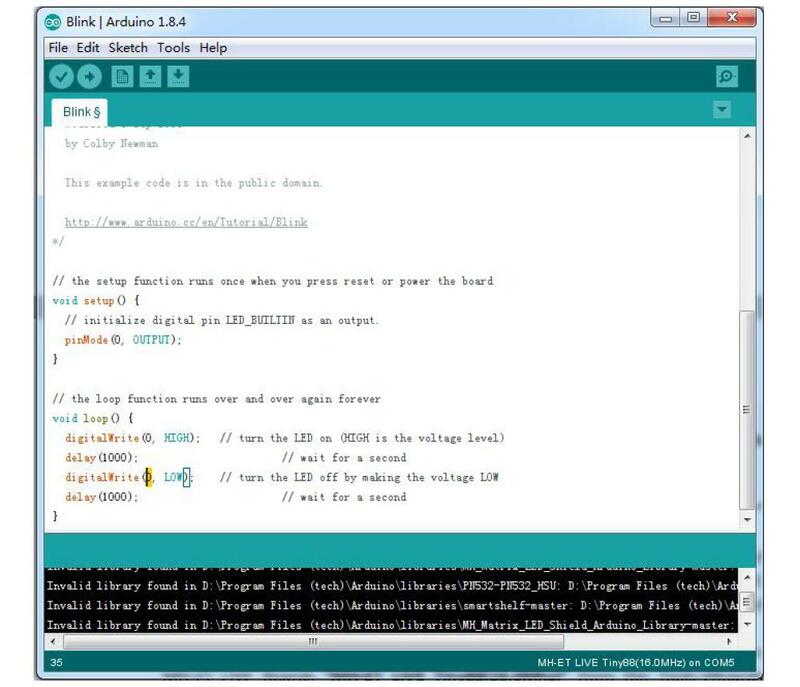  Install or Unzip the Arduino application.  Run the Arduino application.  Select the “MH-ET LIVE Boards” package and click the “Install” button.  You’ll see the download progress on the bottom bar of the “Boards Manager” window, when complete it will show “ Installed ” next to that item on the list. Boards (If you already have them installed, this installer will update them and install any that are missing).  With the install complete, close the “Boards Manager” window and select the MH-ET LIVE Boards “ MH-ET LIVE Tiny88(16.0Mhz) ” from the Tools→Boards menu. frequency specified by the program. 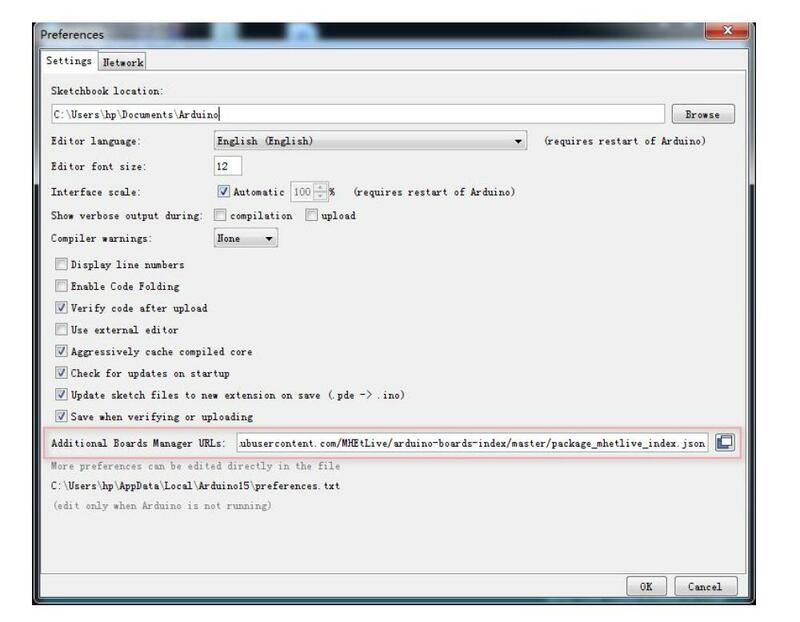 (note: When downloading the program, do not connect the module first, wait for the prompt to insert the module after compiling, then plug it in and wait for the automatic download to complete).